One of our favourite pieces, the Evelyn cuff bracelet gets 10 points for trendsetting style. 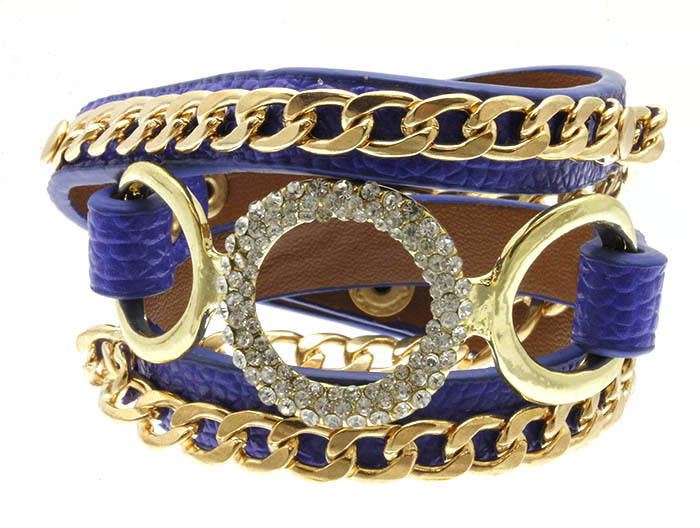 Showcasing royal blue leather inlaid with gold-plated chain and a contrast feature O-link sparkling with pavé rhinestones. Wear for an in vogue aesthetic. Shop from one of Australia’s finest online costume jewellery stores right here, right now!